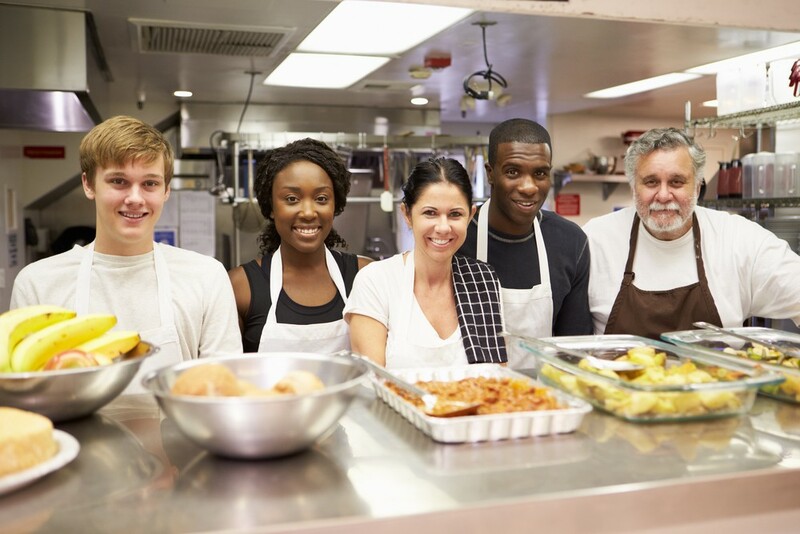 When you are in recovery from addiction, giving back in your community and helping others can be great for your healing process. Practical experience has shown that nothing will so much insure success with addiction as intensive work with other addicts. You can help when no one else can. You can secure their confidence when others fail. Let’s take a look at the many ways being of service can help you with clean and sober living. In the throes of addiction, you may have felt as though your life had no purpose beyond getting your next fix, and it can often be difficult to figure out what you should be doing with your life now that you are no longer a slave to drugs or alcohol. Volunteering gives you something positive to do with your time to keep you from slipping back into your old ways. As you see how your efforts are benefiting others, you’ll feel incredibly rewarded and fulfilled, finding new meaning in your actions. You can volunteer to help in many ways, run a marathon in support of a cause, join a walkathon or cycle ride that supports a cause special to you while you make new friends and give back. One of the trickiest parts of addiction recovery is finding a new circle of friends who aren’t using or live life as you do. Through doing charity work and joining organizations that help others you believe in, you’ll interact with new people, possibly making new friends for life. It can be hard to put yourself out there at first, but it is important to build up a support system to aid in your recovery. Having positive influences in your life can ease the strain of getting and keeping your life back on track. If you attend AA , NA or other 12-step meetings, look for opportunities to help out. Show up to meetings early and ask if there is anything you can do to contribute. Little things like bringing coffee or setting up chairs can make a big difference, giving you a stronger connection to your group. Get meeting commitments that help others and keep you coming back. When you start to feel like you are on the right track with your recovery, you may want to think about becoming a sponsor for someone else. Working with others comes in many forms. Remember you always want to support others not your ego. You can also be very helpful and supportive to others without a title or recognition. Anonymous and random acts of kindness creates life success like no other. Hiring newly clean and sober people and taking a positive interest in their new way of living. Calling or connecting randomly with others new in recovery can make a big difference to you and that person. Sometimes just listening to someone and acknowledging them can be very rewarding. Assisting others in the recovery process can make it easier for you to keep up with yours. Before recovery often we would say let me buy you a drink, in way to celebrate something. Now we can say let me treat you to a medallion or coin. Having tools and reminders around you can help you stay focused on your recovery. Sharing Hope and being excited about recovery can make others happy. Maybe it’s a card or gift that acknowledges recovery time. Maybe it’s a fun slogan that supports someone in their recovery. Here at My 12 Step Store, we offer hope in many varieties of books, motivational plaques, clothing, sober living chips and more. We welcome you to browse through our offerings today to find what you need to stay on track with your new life. This entry was posted in Uncategorized and tagged addiction, helping, recovery, relationships, sober living. Bookmark the permalink.